I recently watched Kandee Johnson’s review and demo on L’oreal’s Miss Manga Mega Volume mascara and instantly wanted to pick it up for myself. I was excited by how it made Kandee’s big, long and black lashes and how it had stayed put for most of the day, so I went to my local Superdrug and bought it… along with a couple of nail polishes. The first thing I notice is the cute packaging. It is metallic pink and black and it did catch my eye in Kandee’s video. The second thing I noticed was the bendy, 360 cone-shaped brush. You can bend the brush around as you apply th mascara, which I think is for easy application and getting every eyelash around your eye. It’s a pretty cool brush and it feels bouncy, but I have seen a bending brush like this before. The formula is quite wet, but manageable and coated my lashes pretty well, building up volume and length from the first application. However this mascara is kind of clumpy, and you would probably benefit from combing out your lashes after, or wiping down your brush after you use it to remove excess product and clumps. After a couple of coats, my lashes are definitely thicker, and longer and quite nicely separated after a comb through! I love how black it is, but it is a little to wet for me. 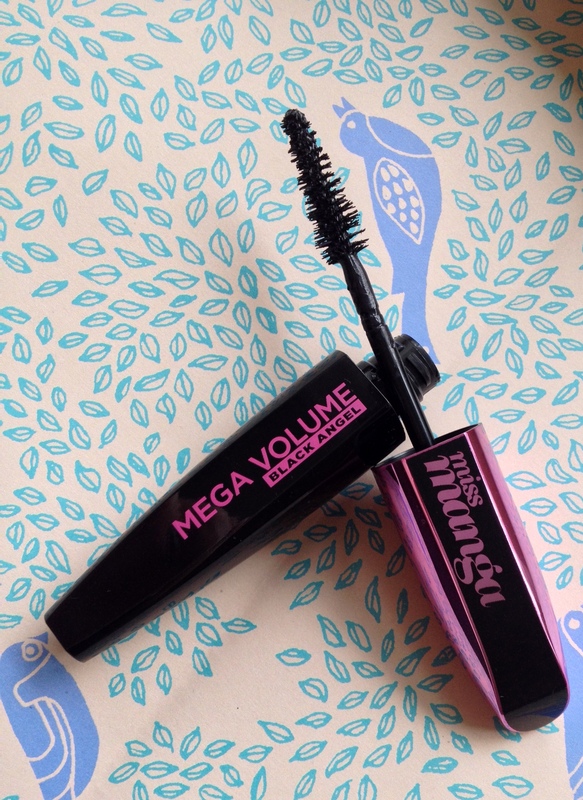 Miss Manga Mega Volume Black Angel mascara is perfect for you if you love the extreme black, thick and a little clumpy look, however it can be a bit wet and fiddly if you’re used to drier formulas like me. Nevertheless it builds up your lashes and gives you great length! You can buy this mascara from Superdrug for around £8.99, and it comes in purple and turquoise colours too, and a punk version. To me it is a little pricey, but I think this mascara will differ from person to person!